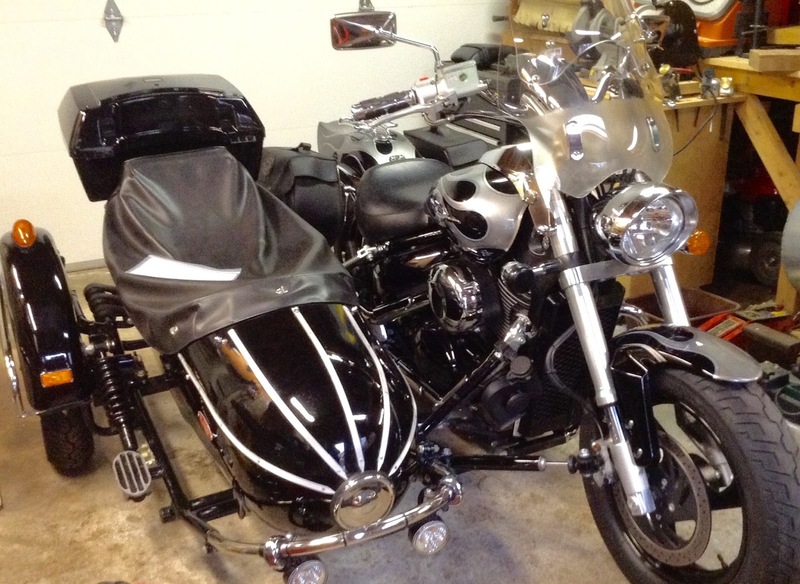 I have been without any motor bike since the last summer I sold my bike, 2007 Honda Interceptor. 805cc engine. The previous bike was for my 60 year old cerebrations. 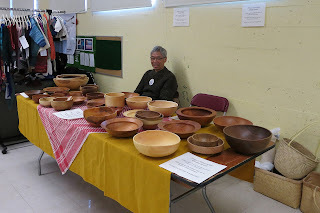 I attended the Craft fair at Dunbar Community Centre as previous years. I donated all of sales to Doctors without Boarders. one dry flower. 9.5cm diameter and 12cm high. November 26th is my annual craft sale. I probably have 40 bowls including the last year's left over. I don't have any big bowls so I cannot hope for large amount of sales. Unknown wood scrap. I think easier to sell this kind of bowls. More people appreciate "wabi sabi"
here than in Japan. 12cm diameter and finished with one coat of tung oil. It also requires of many applications of Crazy Glue while turning. It was again too hard for the Tokyo Automach. I tried Dremel, however, it leaves burn marks. now using small one dollar pieces bought from Lee Valley. 12cm diamter finished with one coat of tung oil. Eastern maple crotchwood. 13cm diameter and finished with one coat of tung oil. Eastern maple crotchwood. 14cm diameter finished with one coat of tung oil. 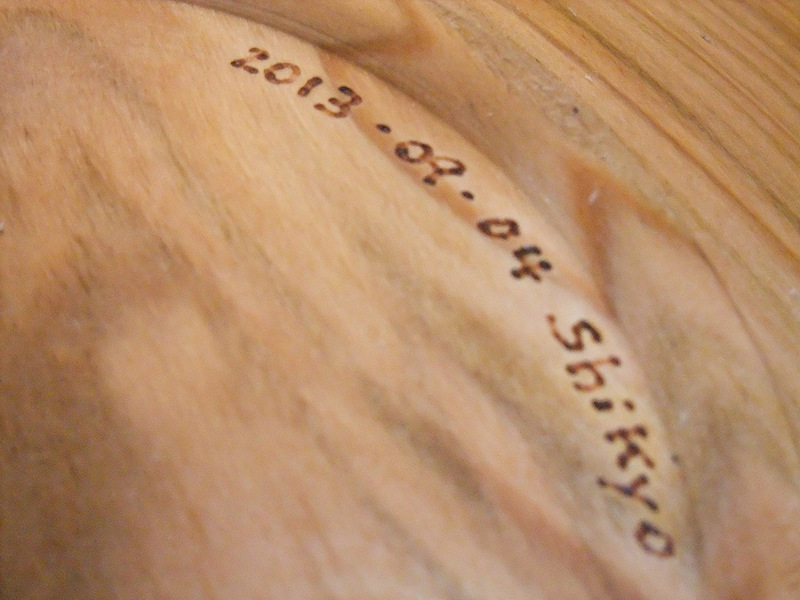 Made from eastern maple crotchwood. It was very hard and I couldn't add flutes with my Tokyo AutoMach curver. I had to use a wood file. Hence it only has four flutes. 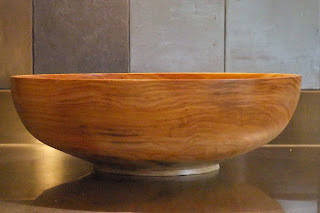 It is my most favorite bowl for this year. 15cm diameter and finished with one coat of tung oil. The biggest bowl of the year. 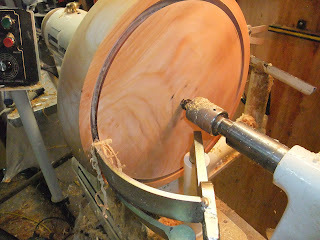 26cm diameter and finished with one coat of tung oil. It was re-turned of a bowl bought by Brenda from a Salvation Army store. It had a shape of rounded side to a flat bottom. It lost probably two third of the weight. Store bought walnut. 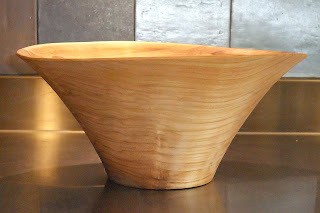 16cm diameter, finished with one coat of tung oil. I have been very lazy about updating my blog. I am writing this page on January 19th two months after my last sale so you can see my laziness is serious. 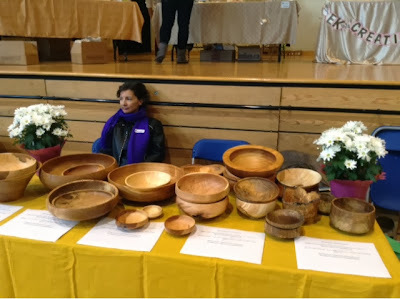 This was my fourth year selling my bowls for fundraising for non profit organizations. I chose again Doctors without Borders for the donation this year. I am very happy about it since I didn't get any phone calls or emails from them asking for more money. I changed the location of my sale from the Nikkei (Japanese cultural centre) Centre to a local community centre, expecting to have a different group of buyers. As a result, my sale this year improved and I raised $925 in total which is less than two years ago but almost three times higher than last year. I donated right way to MSF Canada before I changed my mind. Today, I got a email from the community centre saying my fee for this year is waived because I am a non-profit vendor. I am very happy to save the $80 fee, however, I think I lost my chance of quitting selling bowls for charity. I now have to make many more bowls than last year since half of the bowls you see below are now gone. From February 2nd I am visiting Japan for five weeks and I'm also doing some bicycling there. I donated a dozen boxes of Japanese books today to the Japanese Cultural Centre...some of them were from when I was 20. The first one is from the black walnut I got several days ago. 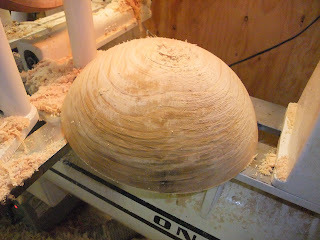 It is about 10" diameter, 25 cm, finished with grape seed oil. The second one is from white oak which I found on a street very close to our house. Size is about 12" diameter, 30 cm and finished with canola oil by mistake. Don't underestimate canola oil! It is heart healthier than olive oil and is probably the cheapest oil you can purchase. 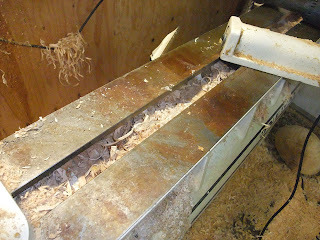 I got some black walnut wood from the guy whom I sold my the other lathe "Nova"to three years ago. 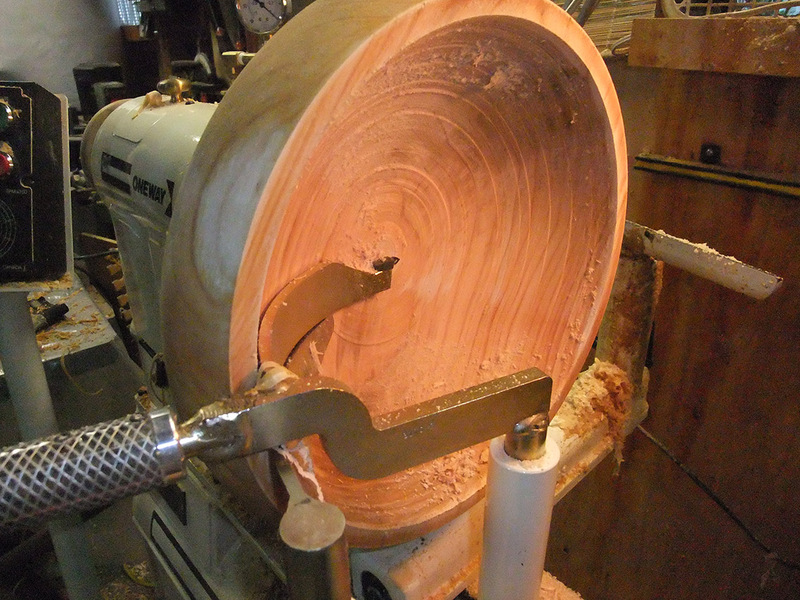 He has had the lathe in a very nicely set and tidy workshop and has been making many bowls from it. I again attended the Nikkei Centre's (Japanese Cultural Centre) Christmas craft sale. This was my third year. The sale wasn't as good as in past years and I only sold a few items. I wish I had had more big bowls as they were in demand. I managed to raise about $300 and donated the whole amount to Doctors without Borders. 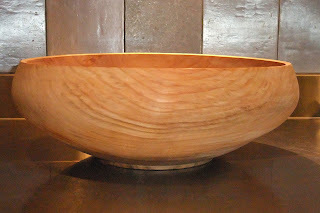 the bowl I sold for $200 other day, I raised the total of $1,275. Haiyan in Philippine through the Red Cross. I said this year's cherry was less corrosive than last year's. I put my name and date. Coring. The kit consists of 4 size set. I am using the second smallest set, 12 inch set. the rim which is about 5 mm thick. the bowl sold shouldn't be counted in 40 bowls for the craft fair. 370 mm in diameter and finished with grape seed oil. I was thinking of shapes which will get more interesting when bowls warp. This was one of them. It looks like a flared skirt. I've always liked seeing women in one-piece with flared skirt. The side wall of the bowl is 2 mm thick all way to the bottom, and the bottom is flat and 6 mm thick. 320 mm in diameter and finished with grape seed oil.